CNC lathe manufacturing is widespread throughout the component manufacturing industry worldwide as more and more demand is placed on higher production, lowered costs and increased quality requirements on industrial manufactured components. Several companies, however, turn to the deployment of used cnc lathes as a means to reduce their capital equipment costs. 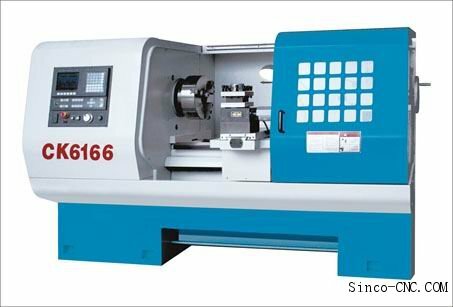 While this is a help in improving the bottom line of many companies, the down side of this method is that one has be very vigilant when it comes to keeping these used cnc lathes in proper working order so that production schedules are not compromised and quality levels are not sacrificed. This means that there is increased pressure on maintenance personnel to establish and follow proper maintenance procedures. In this article, we will describe the three basic maintenance procedures that come into play in cnc lathe machine shops. The first maintenance procedure involves routine maintenance. In this procedure, one schedules a routine maintenance frequency, be it every day, every so many days, every shift or any other frequency depending upon the age of the machines and the demands of the shop. Routine maintenance procedures may involve changing coolants, cleaning chip pans, inspecting and adjusting safety mechanisms, changing or filling hydraulic oil, etc. Routine maintenance procedures try to prevent breakdowns. The second maintenance procedure involves preventative maintenance. Preventive maintenance involves inspecting belts, adjusting, repairing or replacing components that have not yet failed but are known to fail within a short period. Preventive maintenance involves developing a history of breakdown of components from past history, allowing for catching of problems before they happen. Finally, breakdown maintenance procedures come into play when a component has already failed, thus shutting the production line down. As one can imagine, breakdown maintenance can be very costly due to down time involved in production that can get aggravated if the necessary replacement parts are not readily available. One needs to strive to avoid breakdown maintenance as much as possible by concentrating on routine and preventive maintenance procedures because the latter two are significantly less expensive than the former.